If you are planning on watching the latest BBC prime time fantasy drama ‘Jonathan Strange and Mr Norrell’ watch out for a familiar Kirklees building. Oakwell Hall in Birstall features in the opening scene of the BBC’s major new seven part fantasy drama Jonathan Strange and Mr Norrell which hits our television screens on Sunday, 17 May at 9pm. The scene shows one of the main characters trying to ‘magic’ a broken clay pipe back together, watched nervously through the door by his two servants. It was shot in an upstairs room of the historic house which was one of many Yorkshire locations used for the seven-part adaptation of Susanna Clarke’s historical novel. The series was also filmed in Canada and Croatia. Filming at Oakwell took place some 18 months ago over a two-week period. The Hall underwent a makeover, both inside and out, and so may not be instantly recognisable to viewers. 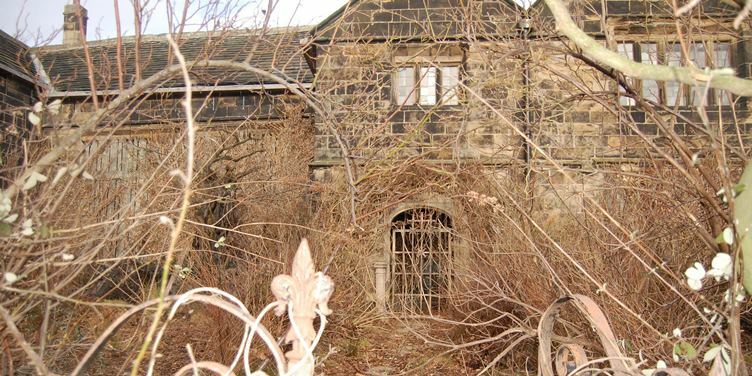 In the second episode there are external and internal shots of the Hall as a run-down residence – covered in vines, creepers and leaves and with a tree ‘growing’ through the window. The house also features in the seventh and final episode of the drama which is set in England during the Industrial Revolution at the beginning of the 19th Century. The series presents an alternate history where magic is widely acknowledged, but rarely practiced. If you’d like to learn more about the filming of Jonathan Strange and other dramas the Hall has featured in, why not go on an “Oakwell on Film” tour. For further information and dates contact Oakwell Hall, Nutter Lane, Birstall, tel: 01924 326240.